“Collaborative ministry is I suppose thinking that the third millennium of the church needs to look more like the first millennium than the second ..so my slogan is stop coming to church, and become the church.” An interview with the Rev. Robin Greenwood during the 2015 International Ministry Symposium. Liz Magill, program coordinator of Faith-Based Leadership at Episcopal Divinity School (EDS), is attending the International Symposium on Ministry Development in San Antonio this week. 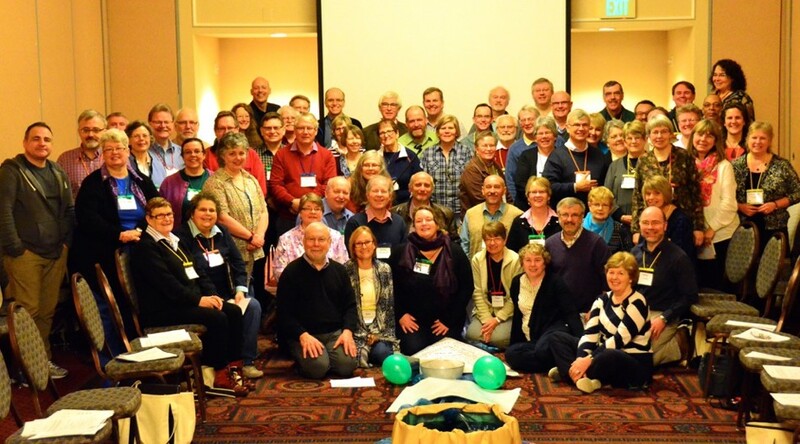 At the International Symposium on Ministry Development we gathered for Bible study, looking at John’s story of Jesus’ meeting with the woman at the well. (John 4:1-42). Our assignment was to figure out God’s mission in the world. It was tempting to find that God’s mission is to love us all, and to push us to love each other, but the assignment was to return to the text every day for a week, so we began to find more and more complexity in the text, and in its application to out lives. It was helpful to look at Jesus’ interaction with the woman, I’ll call her Alia, and then to look at Alia’s interaction with her town. Jesus starts with boundary crossing–speaking to a woman, to a foreigner, to a random stranger. We notice also the vulnerability of being alone and asking for her help. He offers her the gift of living water, the gift of eternal life, but her good news to the community is much more basic than that. “He told me everything I had ever done.” Notice how little theological discussion we need to understand that–he knows me. This was amazing good news to Alia, and honestly to each of us in our small group, and she was moved to share it with the town. Our guiding question asked us to consider what she was doing as evangelism, which was interesting since her style was to tell a personal story followed by an innocent question (could he be the messiah?) and many believed. John’s goal is certainly to affirm that JC is the messiah, and to show that people believed in him. God’s mission is less straightforward. We would be wise to notice that the people of Samaria are already connected to God in some way, for they worship on this mountain where Jacob worshipped. Likewise, God is active in the world today quite separate from the work of the church. Also, what people need from God can be quite different. Jesus offered Alia living water, but what she needed most was to be known. Jesus boundary crossing was essential for Alia to hear the good news, but some of those in Samaria needed to hear from him, not from her. I think we can trust that God’s mission adapts to the context of the people’s needs. The disciples on the other hand can’t seem to adapt to the situation, reacting in amazement that Jesus is talking to the woman without noticing that she has been transformed. It’s hard not to see them as a metaphor for some churches, busy unpacking the groceries while the Holy Spirit is moving in the community outside their doors. I left the weeks worth of bible study as uncertain as ever as to whether I can know what God’s mission is, but certain that I play a variety of roles in supporting that mission, sometimes crossing boundaries and offering living water with Jesus, sometimes being known and sharing the good news with Alia, sometimes attending to the maintenance issues of feeding the people. “We’ve also been introduced to the whole challenge of being a missional church, which is looking much more outward into the world and the communities around it – so for me the exciting grab of this opportunity is the bringing together of a collaborative ministry model with a missional church calling or imperative. None of us knows what that’s going to look like, because most of the collaborative models really were focused on making the church healthy. I won’t say they were entirely focused inwardly, but much of the emphasis was on creating an effective, vital and viable church, so that its members could minister in the world. And, I see the missional church challenge as moving beyond that. Now we are trying to find ways to take that collaborative model and open it up so that it empowers its members and the church as a whole in its mission in the world.” We sat down with the Rt. Rev. 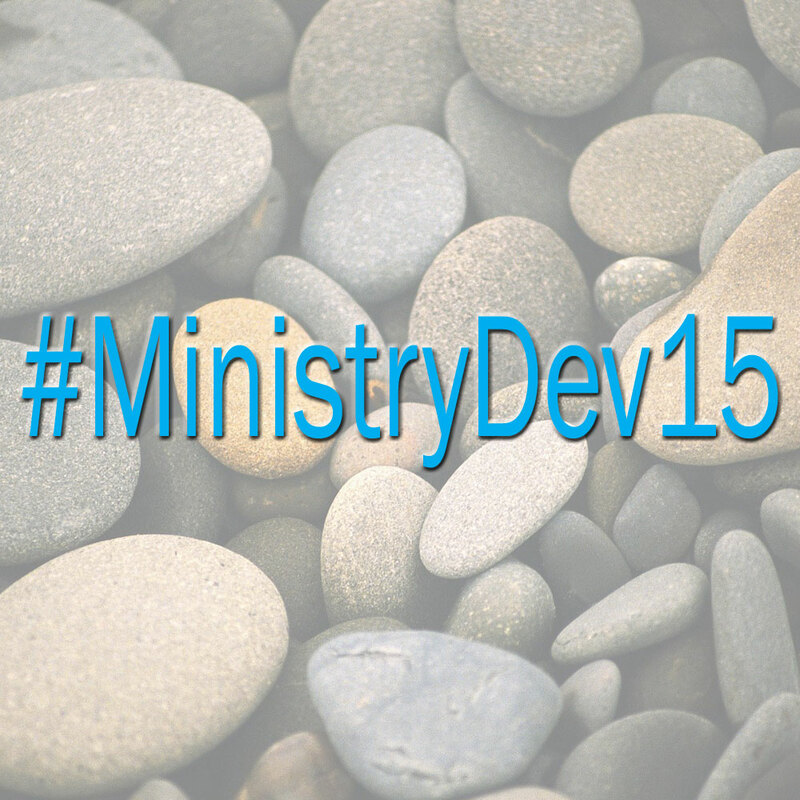 Don Phillips to talk about collaborative ministry and the Symposium – both in 1999 and today. Visit the LS Coordinators Discussion Group on Google Groups. This is an invitation-only group. If you would like to be invited to join this group, contact the webmaster via email.